What makes blue so special? Blue is the most common favorite color in the world. People everywhere associate the color blue with the sea and the sky. Like looking out over the ocean, or gazing up at a clear blue sky, seeing the color blue makes people feel calm. Blue creates a tranquil environment. It is a quiet color that promotes peace and relaxation. Blue is a color that enhances trust between people. It is the color of honesty and loyalty. Blue flowers in the bedroom will cultivate the bond between you and your partner. Blue is also the color of peace. 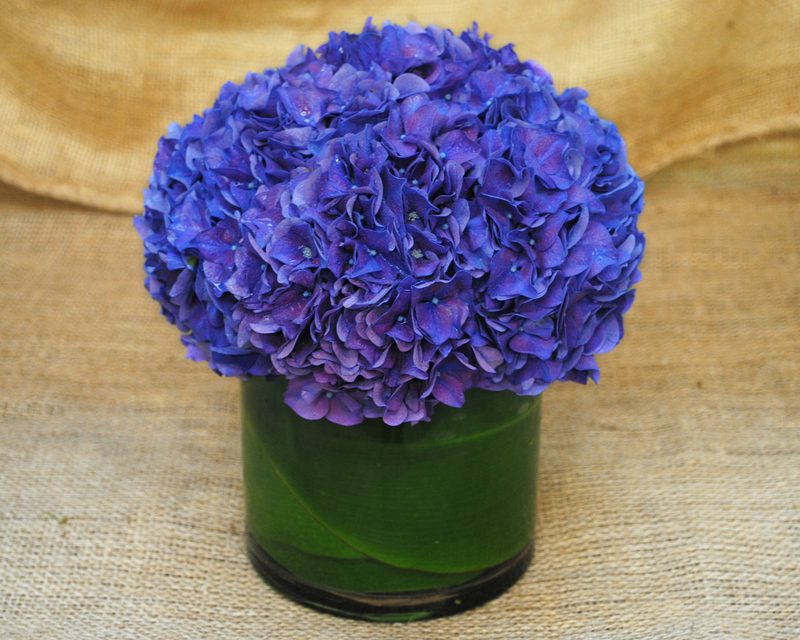 If you feel stressed out and need to unwind, try putting some blue flowers on your nightstand. They will promote your mental and physical relaxation. 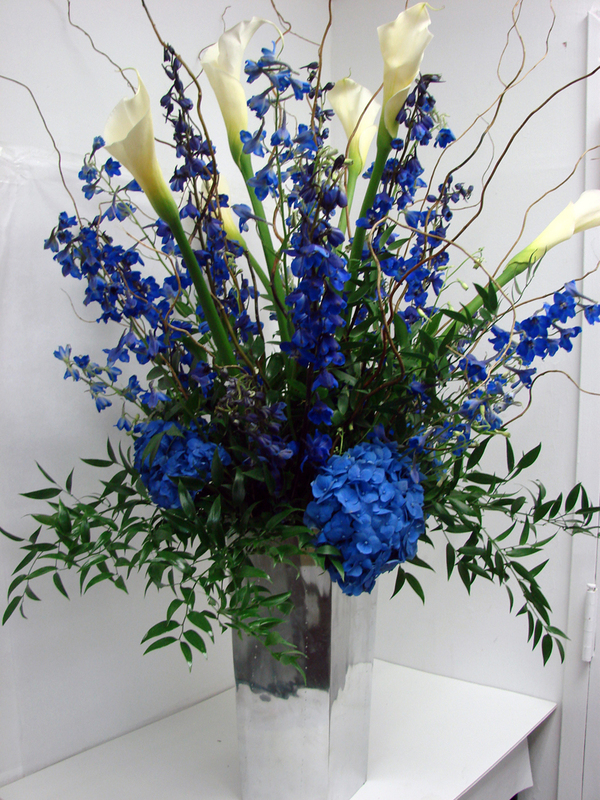 Blue flowers will work wonders in your office, whether you work in a cubicle, from home, or anywhere in between. The color blue enhances communication and self-expression. Have clients yelling at you over the phone? Keep a vase of blue flowers on your desk. They’ll reduce tension and stress, creating calm and order instead. Whether you are religious, spiritual, or just plain contemplative, the color blue will bring your practice to a higher place. Blue is the color of devotion. It is the color of the spirit, and of religious study. Blue flowers placed in your area of worship will create a tranquil atmosphere for prayer. The color blue reduces fear, and enhances inner security. 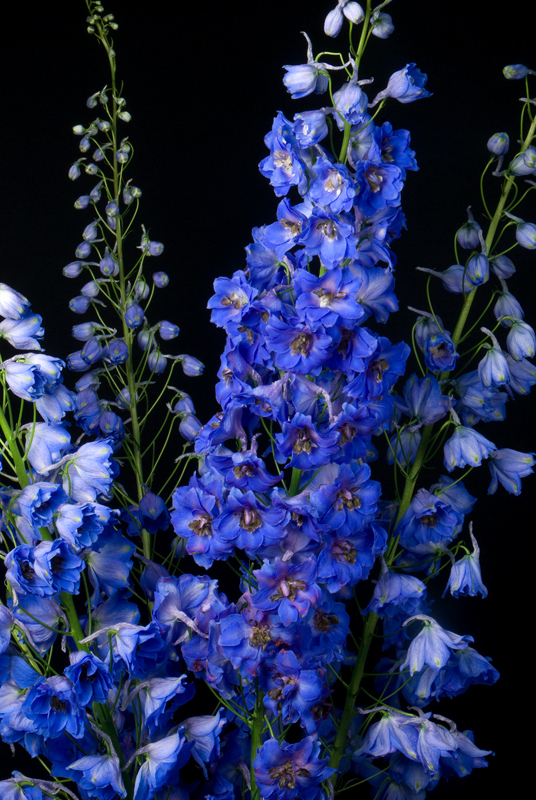 Blue flowers in your meditation space, or on your altar, or in any area of the house where you practice devotion, will bring you closer to your inner self.